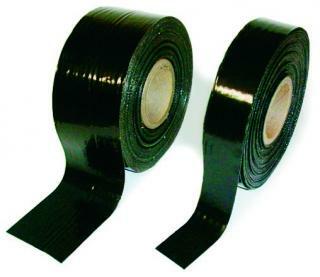 This is more economical adhesive tape similar to TapeCoat M-860. It is not quite as sticky and the weave on the backer is more open. Please select from 2" (5 cm), 4" (10 cm), 6" (15 cm) or 12" (30 cm) wide, 60' foot rolls (20m) in black.